Nuvali, Sta. Rosa, Ayala Malls in Laguna is fast becoming a finest unwinding spot, and a major destination of friends, family, and couples when they want to unwind, shop, bond, or simply hang-out. Nestled in the thriving district of Sta. Rosa, Ayala Malls Solenad 3 provides more than just retail spaces for boutiques and restaurants, it is one of the first malls to embrace the active, outdoor lifestyle. It is a place that takes all your stress away and lets you enjoy what this ecofriendly place has in store for you! The restaurant offers their signature fried buffalo chicken wings marinated in different spices and sauces. Buffalo wings are pure, unadulterated, crispy, greasy, food delicacies that we all love. At WingStop, these crunchy seasoned fried chicken wings take a dip in classic and outlandish buffalo sauces. 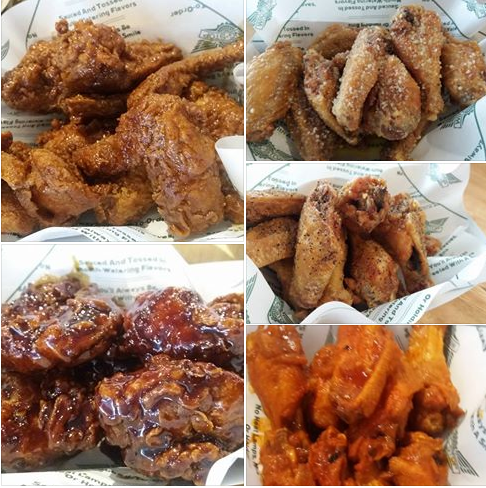 Perfectly fried chicken wings were are coated in sweet, hot and spicy blends---Spicy Soy, Mango Habanero, Cajun, Hot Buffalo, Mild Buffalo, Honey BBQ, Honey Garlic, Garlic Parmesan, Hickory Smoked BBQ, Lemon Pepper, Louisiana Rub, Korean Soy, and Teriyaki. I like those in Honey Garlic, Teriyaki, and Korean Soy flavors. If you are looking for a healthier alternatives, they have Boneless bites (8 pcs 2 flavors P 179; 15 pcs 3 flavors P 319) and skinless chicken breast tenders (3 pcs 1 dip P 199; 5 pcs 2 dips P 329). 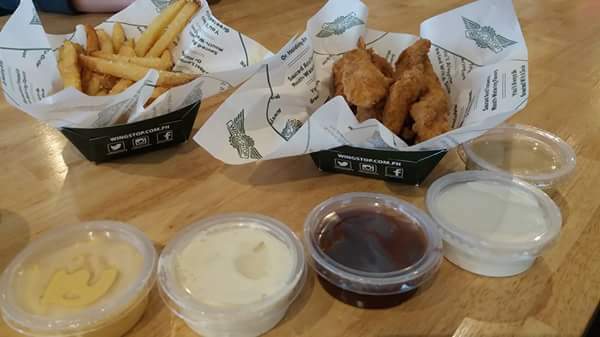 For dips, WingStop has ranch, bleu cheese, honey mustard, bbq, atomic and ccheese.They use these same mixtures as dipping sauces for french fries and sides (Onion Rings and Nachos). We also tried their flavored fries such as Louisiana Rub, Cajun, Garlic Parmesan that costs (P 99 for regular; P 119 for large). The Texas-Style fries are cheaper at P 79 for regular and P 99 large servings. Cheesy Salsa fries is priced P 149. Their Coleslaw is also good. 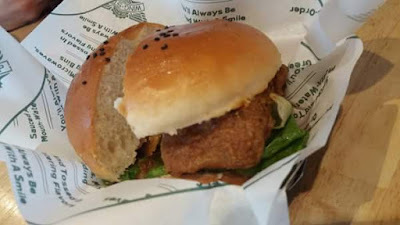 They also have Batter-Fried Fish Sandwich (Ala-carte P 159, Meal P 199) that is perfect for the Lent season. The Coffee Bean and Tea Leaf is a well-known Specialty Coffee shop, where you can grab coffee, non-caffeinated beverages, teas, drinks and pair it with their yummy cakes. 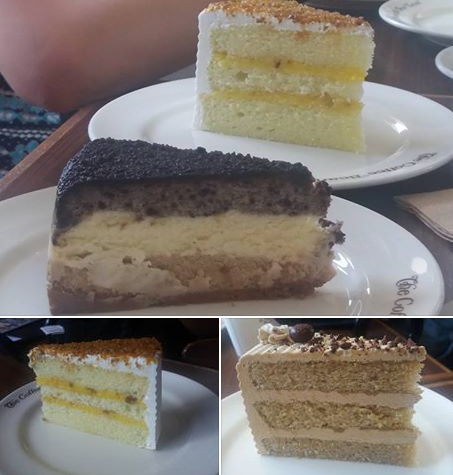 Must try cakes are Lemon Pistachio, Mocha Cake and Triple Decker Cheesecake. I like the Triple Decker Cheesecake among the three. They have some absolutely fantastic cakes that look too good to be eaten. 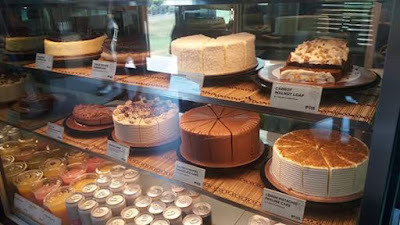 Classic Confections are actually the ones behind CBTL cakes. We tried their Sylvia's Strawberry Shortcake and Nono's Chocolate Oblivion. I love the fluffy strawberry shortcake. 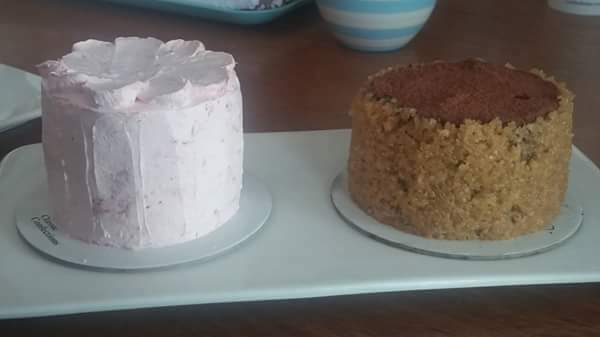 It is moist, not too sweet and I love that has real strawberries inside. I can taste its premium ingredients that truly equals its good taste. Nono's Chocolate Oblivion was really sweet and chocolatey on the other hand. When I sink my teeth into a slice, my taste buds register nothing but sugary bliss. Classic Confections highlights gourmet flavors are in something as small as a cake slice. Since the world is still freaking about the Beauty and the Beast movie, Classic Confections had gorgeously decorated cookie treats for any diehard Beauty and the Beast fan. They have iced cookies that are decorated to look like all your favorite characters from Disney's "Beauty and the Beast." Cafe Arabelle opened in December 2016, offering Italian Cuisine, Western and Spanish fares. They served us Arabelle's BBQ Ribs (P 740), Seafood Marinara (P 335), Arabelle's Creamy Mushroom Pasta (P 400) which I highly recommend. I find Cafe Arabelle particularly strong in pasta and meat dishes. 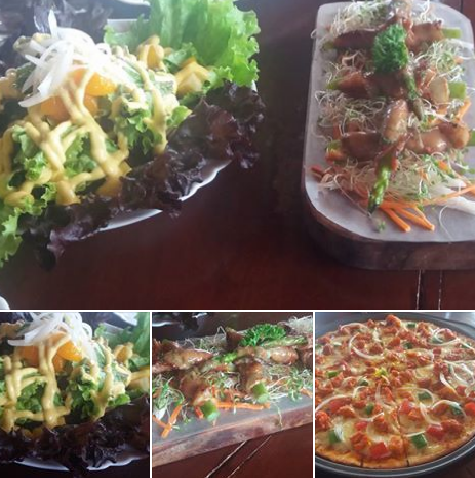 Other dishes given to us were Arabelle's Special Salad (P 270), Grilled Bacon Pancetta P275, and Buffalo Pizza (P 520). The Pig Pen is a casual diner and bar that offers Asian and Europian fusion. They offer breakfast and a good variety of locally-sourced drinks and beers on top of imported ones. For the food, I first indulged in the salad. The European Salad was full of lettuce, pickled radish, fresh purple petals, sliced black olives, julienned carrots, dried berries and nuts. The salad was great! Next, I tried the Papa Dom's Nachos . I had Kimchi Pork Belly (P 350) as well. It was great tasting pork meat cutlets with kimchi sauce. 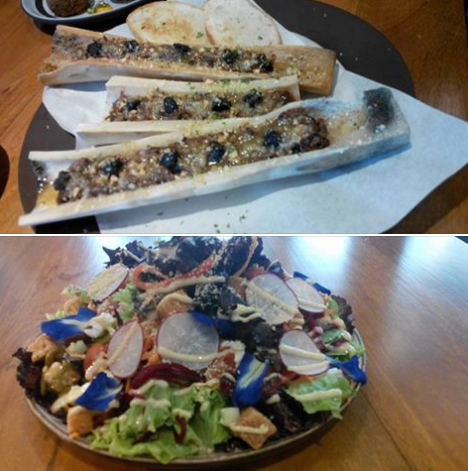 Beef Shank Mushroom and Bone Marrow (P 420) was something extraordinary! Double thumbs up for this dish. It combines the rich flavor of the bone marrow and the prime beef cut. It was like sinking my teeth into a premium cornbeef brand. Grilled Tamarind Chicken (P 380) was cooked perfectly. The chicken skewers were so succulent that you can really taste how good the meat used was. I recommend that you visit this restaurant when you are in Nuvali. That's all folks. Watch out for my next food reviews and foodie adventures. 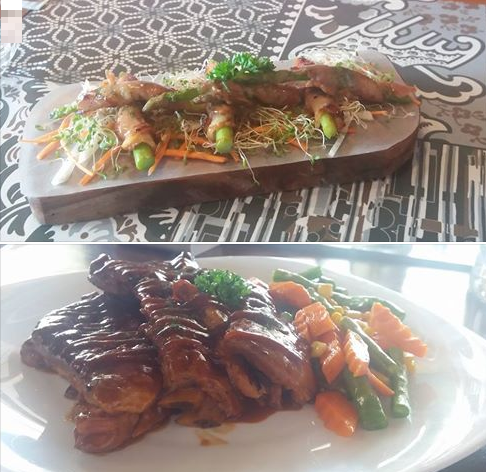 When I visit Nuvali, I will go there because of their mouth watering dishes. Crispy chicken is so yummy! Great foods. My top picks would be the Buffalo Chicken Wings and that Bone Marrow from The Pig Pen. I've tasted Bulalo before but never tried eating it like that dry and have it as a spread for your bread. I must try it someday. Chicken, burger and meat looks so yummy. But I'm not sure about Pig Pen. It looks not so appetite. Was it good? Worth it's money? I'm not sure that Asian and European fusion can be good. Theirs cuisines are so different.I used to write an essay about Asian cuisine for HitTheGrade so I can relate how it tastes.